Tagged with Australia, China, foreign influence, IEAA, Universities Australia. Universities Australia has seen the bulk of its recommended amendments included in a bill to overhaul Australia’s foreign interference and espionage laws, in a move it hopes will alleviate concerns for international researchers and students. Proposed in December 2017, the Foreign Influence Transparency Scheme bill, which passed the Senate along with the Espionage and Foreign Interference bill, represents the most significant shift for Australia’s national security laws in years. 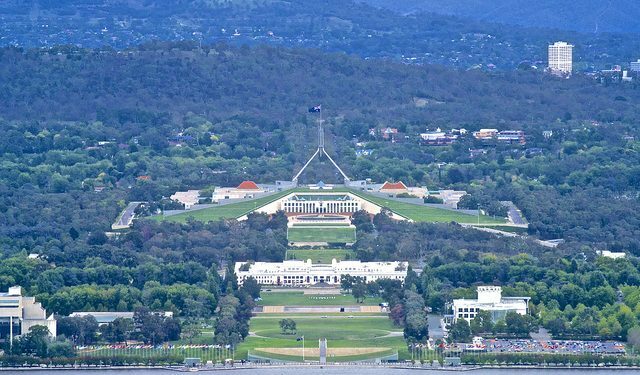 According to UA, however, the original Transparency Scheme bill, which requires foreign individuals to register depending on the nature of their activities in Australia, was too broad and would have unintentionally captured academic staff. As originally written, it seemed possible academic staff collaborating with international colleagues and jointly publishing or advocating on policy-relevant topics could have also been required to register. Staff making representations to the government on behalf of international students and university staff who push for joint research or training schemes may also have been caught up. UA chief executive Catriona Jackson warned under the original scheme researchers could have faced jail time if they failed to correctly register, leading to the association’s suggested amendments. “Every time an Australian academic works together with an overseas colleague, they bring valuable new ideas and expertise home to Australia,” said Jackson during her testimony to the Parliamentary Joint Committee on Intelligence and Security. Among UA’s recommendations were; a stronger definition of who will need to register; the activities that apply; and better exemptions around those advocating on their behalf have been included in the law, clarifying that ordinary individuals not connected with a foreign government will not be considered foreign principals. The term “collaboration”, which UA said was not closely defined and could include legitimate research activities, has also been removed. Jackson thanked the government for listening to UA’s concerns and implementing its suggested changes to the final bill. IEAA’s chief executive Phil Honeywood also threw the organisation’s support behind the recommendations, calling them a “sensible compromise” and commending UA for their work. “We believe that the changes that have been made to the bill are a good balance between ensuring there is some sensitive oversight of potential foreign interference while acknowledging the unique position that university research and collaboration play for Australia’s future,” he told The PIE News. Honeywood said that the amendments now took into consideration the changing demography of Australia. Retaliatory barriers on Australian researchers and students were unlikely, he argued. It’s been a long and contentious process getting these laws into place, which were rushed through the Senate in the final hours before a break in the parliamentary sitting period. In mid-2017, the director-general of the Australian Security Intelligence Organisation Duncan Lewis warned of an “insidious threat” and the “need to be very conscious of the possibilities of foreign interference in our universities” during Senate hearings but did not elaborate further on where those threats lay. While Lewis did not specify the origin of influence, both bills were widely interpreted as a pushback against perceived Chinese influence on Australia, after reports revealed the Chinese Communist Party had swayed influence over student associations, as well as revelations a senator had received foreign political donations.